The Civic Federation's 2017 Civic Awards Luncheon honored Ilene S. Gordon and PNC. Click here for more information on the luncheon and the video tributes to this year's honorees. The Board of Directors of the Civic Federation are pleased to honor Ilene S. Gordon, Chairman, President and Chief Executive Officer of Ingredion Incorporated, with the Lyman J. Gage Award for Outstanding Civic Contribution by a Chicagoan and PNC with the Addams-Palmer Award for Exemplary Civic Involvement by a Chicago Institution. Scott C. Swanson, President, PNC Bank, Illinois, will accept the award on behalf of the company. 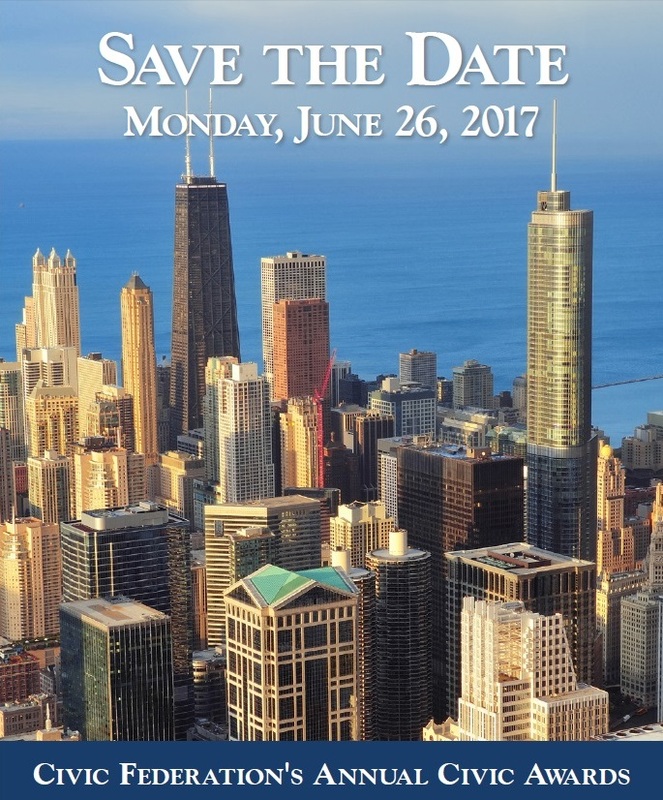 For table prices and to RSVP for the luncheon, please visit the PJH & Associates website or call 312-553-2000.